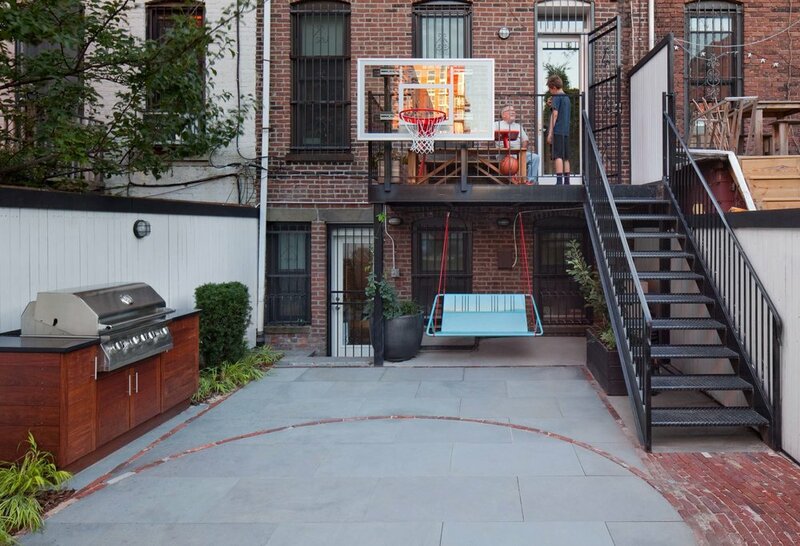 This Brooklyn family homeschool's their two children and wanted a garden that offered space for fun and work. 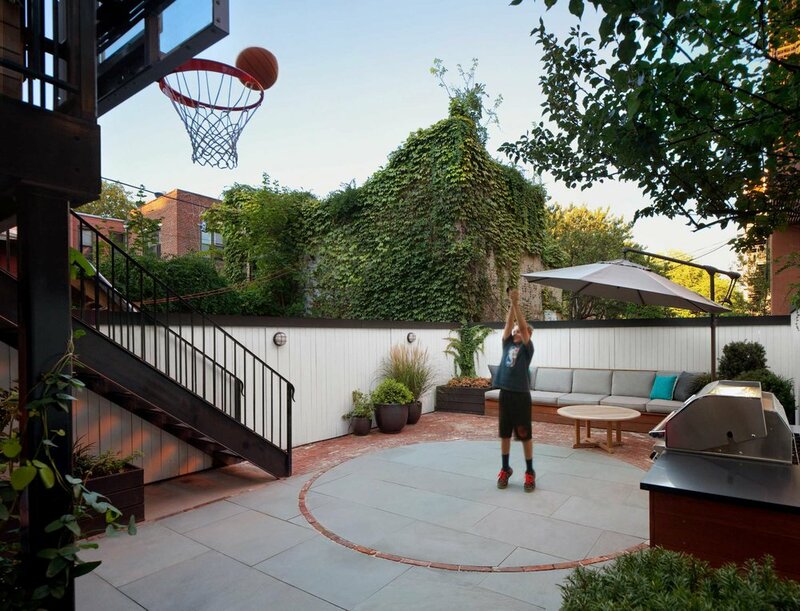 The kids love the basketball court and the adults have space to relax. 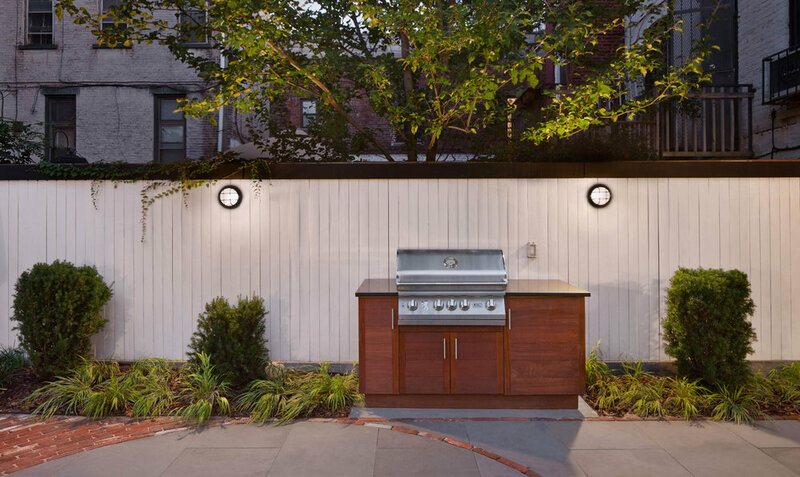 Everyone enjoys meals from the built-in grill and the large planters offer a space for vegetable gardening. New Eco built custom benches for dining and a storage bench with cushions for lounging. The plantings are informal and sturdy enough to take a hit from a stray ball. Lighting and irrigation complete this low maintenance garden.